New research, published in the journal Chest, has the potential to improve our ability to predict stroke risk in those with atrial fibrillation and thus to hopefully help them avoid strokes. Atrial fibrillation increases the risk of stroke because it keeps the heart from pumping effectively, allowing blood to pool in the upper chambers, the atria, where a clot may form and break loose, causing a stroke. To help prevent clots and avoid a stroke, many afib patients are on anticoagulant drugs (blood thinners), such as Coumadin or the generic version, warfarin. For those at risk, these can be lifesaving medications, but the problem for many afib patients and their doctors is in knowing whether or not blood thinners are necessary for an individual patient. Since these are challenging drugs for many patients, some refuse them and others will do just about anything to get off of them. How can you know whether or not you need to be on anticoagulants? There are a number of scoring systems that doctors around the world use to determine whether anticoagulants are necessary, but the most commonly used is the CHADS2 scoring system. NOTE: The CHA2DS2-VASc scoring tool discussed below has now replaced the CHADS2 scoring tool discussed here in most atrial fibrillation guidelines worldwide. Thus, the CHADS2 tool is rarely used now. CHADS2 is a simple mnemonic device to help recall the major stroke risk factors in people who have afib. The name is made from the first letter of each factor. CHADS2 assigns one point each for congestive heart failure (C), high blood pressure (H), age 75 or older (A), and diabetes (D), and two points for a previous stroke (S2) or transient ischemic attack, called a mini-stroke. The CHADS2 scoring system, shown in Table 1 below, determines stroke risk. After assessing your risk factors and adding up your points in Table 1, go to Table 2 to identify your level of risk and recommendations as to whether you should take anticoagulant medication. A person with none of the CHADS2 risk factors would score zero, which is low risk, meaning that aspirin is considered sufficient. A person with a score of two or more is generally high risk, and anticoagulant medication is recommended. A significant portion of afib patients have a score of one, intermediate risk, which leaves the choice open to patient preference. So how does one make a decision? One consideration is the stroke risk that you are willing to accept. Table 3 below shows the annual stroke risk by CHADS2 score for those who are not on anticoagulants. For those with a score of zero, stroke risk is only 1.9% per year, and for a score of one, it's only 2.8%. Though both are fairly low, someone will have those strokes and you and your doctor have to decide if that is a risk you are willing to accept. For those at the opposite end of the risk spectrum, those with high scores, the risk is extremely high. A score of six yields almost a one in five (18.2%) chance of a stroke per year, which is a very compelling reason to be on an anticoagulant. Even for those with scores of four or five, the risks are high, with a one in twelve (8.5%) or one in eight (12.5%) risk, respectively. The CHADS2 system is simple and easy to use, but research has shown that it fails to consider some stroke risk factors. One significant frustration for patients and doctors is where patients have a stroke even though they had a CHADS2 score of zero or one and thus were not on Coumadin. What can account for those who have a CHADS2 score of zero or one but still have a stroke? Are there some risk factors missing from CHADS2 that could explain this? The CHADS2 risk factors were originally identified through "trial cohorts", groups being studied who shared common characteristics, and as a result, some potential risk factors may not have been identified. While CHADS2 is the most common guideline used, this newly-published research from Dr. Gregory Lip in the United Kingdom (University of Birmingham Centre for Cardiovascular Sciences, City Hospital, Birmingham) and colleagues there and in The Netherlands (Department of Cardiology, Maastricht University Medical Centre), adds new criteria that refine the current scoring systems by identifying factors that were not noted in the original systems. The researchers analyzed data for patients in the Euro Heart Survey on Atrial Fibrillation who had been discharged from the hospital without anticoagulation and for whom stroke outcomes were known one year later. In this analysis, patients averaged 66 years of age, and about 60 per cent were male and 40 per cent female. 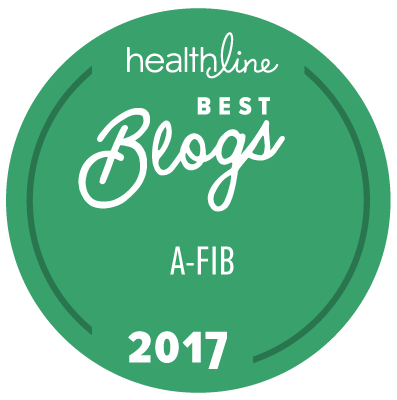 The researchers used evidence-based UK National Institute for Health and Clinical Excellence (NICE) guidelines on AF management and tested them against CHADS2, the Framingham risk assessment, and other tools. Based on these risk factor findings, they proposed a new approach that appears to more accurately predict stroke risk. They called it the "2009 Birmingham Schema." The researchers found that simply tagging risk as being high, intermediate, or low, as in CHADS2, left too many gray areas. Since an intermediate score allowed for either aspirin or Coumadin (warfarin), this was “sometimes used as an excuse not to prescribe warfarin,” the study authors said. In analyzing the Euro Heart data with various tools, up to 60% of patients were classified as intermediate risk by the classical 2001 version of CHADS2. The new Birmingham schema classified only 15% as intermediate risk, while about three-fourths were classified as high risk and needing warfarin. The researchers noted that high blood pressure was the most prevalent stroke risk factor (67.3%), followed by coronary artery disease (38.4%). These two ways of evaluating risk are detailed in tables 4 and 5 below. In the CHA2DS2-VASc Scoring System above, high risk equals a score of two or greater. The flow chart below is an additional way of identifying who should be on anticoagulants. History of stroke, TIA, or embolism? In the flow chart above, high risk equals having one definitive risk factor, which merits anticoagulation, or having two or more combination risk factors, in which case anticoagulation should be considered. Having one combination risk factor is intermediate risk. Research shows that Coumadin is superior to aspirin in people aged 75 and older, so "patients at intermediate risk should be considered for oral anticoagulation rather than aspirin since undertreatment is more harmful than overtreatment," according to the authors. "The BAFTA [Birmingham Atrial Fibrillation Treatment of the Aged Study] trial found no difference in major bleeding between warfarin at an INR of 2.0–3.0 and 75 mg of aspirin in an elderly AF population in primary care, and aspirin cannot be regarded as a much safer alternative." Patients with no risk factors are at low risk and can use aspirin, though the study cited that recent trials in vascular disease haven't shown significant benefit of it in preventing vascular disease. We've known that CHADS2 failed to consider women's greater stroke risk, so this is important new information confirming it and providing a structure in which to differentially assess women's stroke risk when they have afib. While this Birmingham schema is slightly more complicated than CHADS2, it has the potential to better predict who should be on Coumadin or warfarin to decrease strokes. For this reason we believe that this is a highly significant study and discussing these findings with your doctor could be potentially lifesaving. If you're not on an anticoagulant, but this new schema suggests that you should be, it's worth considering printing and taking this information with you for discussion with your doctor.